Looking for a venue or catering for your special event? Daniels in the park is a family run business specialising in providing the highest level of service and attention to detail that ensures your big event goes off without a hitch. 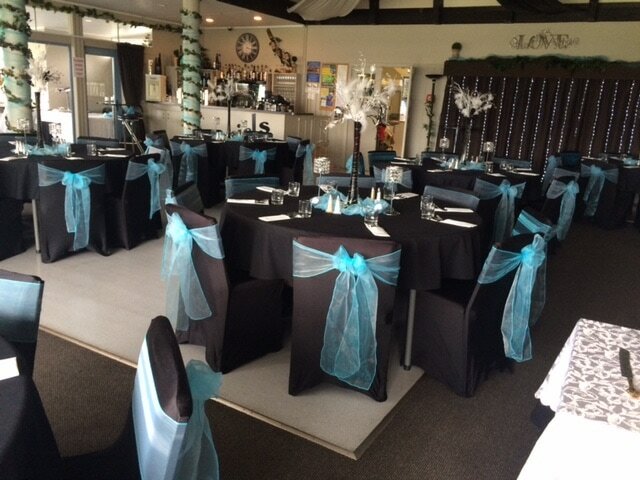 Located just a few minutes from downtown Tauranga in a park setting we offer a unique venue with superb catering and facilities at hand. We pride ourselves on offering excellent value for money, with Weddings venue hire from only $1950 + gst our promise to you is we will think of everything for you so you can relax and enjoy your day. ​Our package is all inclusive. We don't hide anything, and we don't add on extra costs just to clip the ticket - it's your special occasion that we are catering. What we do is listen to you, understand your requirements and make sure we deliver! If you are keen to work 20-30 hours per week in a great team environment we'd like to hear from you. If you are having a birthday or celebration, or if you want to say thank you to your staff, or a supplier or customer, you could shout them a morning or afternoon tea! ​If you are having after work drinks why not do the responsible thing and provide some food? ​We have put together a few special offers for you, and at these prices it doesn't even need a special reason, and we'll make sure it is completely hassle free by bringing it to you, free of charge for the delivery! Free delivery subject to quantity and confirmation of location, delivery to other areas is by arrangement. When the social club at Craigs Investment Partners needed a venue for their recent social club function they chose Daniels in the Park. ​The event was organised by Julie Cleary who said everyone had a great time, and loved the old school feel of the occasion. There was a great atmosphere and nothing was too much trouble, the drinks were very reasonably priced and being so close to town, with heaps of free parking available was a great advantage. Julie said they would definitely come back again! Have you thought of booking your wedding on a Friday? Our calendar is filling up fast for Saturdays but Friday weddings are proving to be very popular - we can take care of the details for you and you and your guests will have the rest of the weekend to relax and enjoy yourselves! Yes really! It is not too soon! We are filling up fast so please book early to avoid disappointment, whether you are looking to book our venue for your function or you'd like to book some catering, please don't wait! When you book your corporate function at Daniels in the Park, we will donate $1 per drink* back to your social club, how's that for supporting your activities! *Conditions apply so book early!